A Jamaican man is now over $100 million richer after being presented with the latest Super Lotto jackpot cheque at Spanish Court Hotel in St Andrew on Tuesday morning. Disguised in the mask from the movie Scream, with a light-brown overhaul and black leather gloves, the man, referred to as “A. 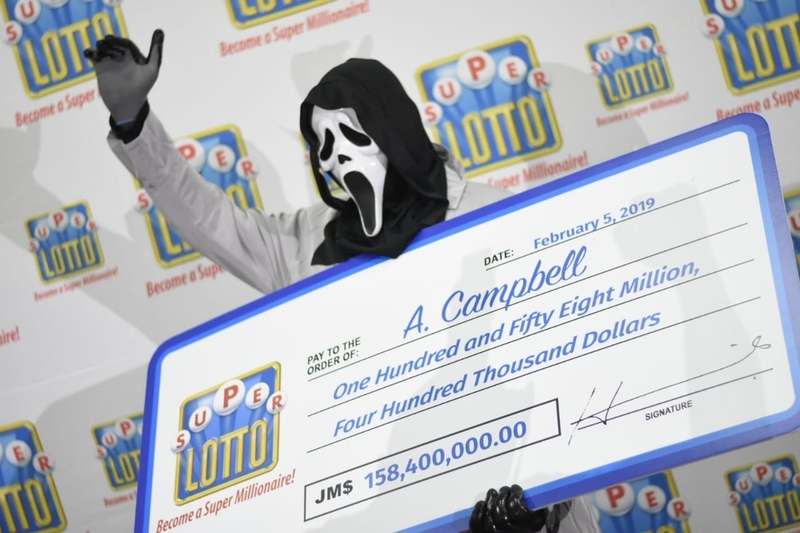 Campbell” finally collected his cheque valued at $158.4 million. 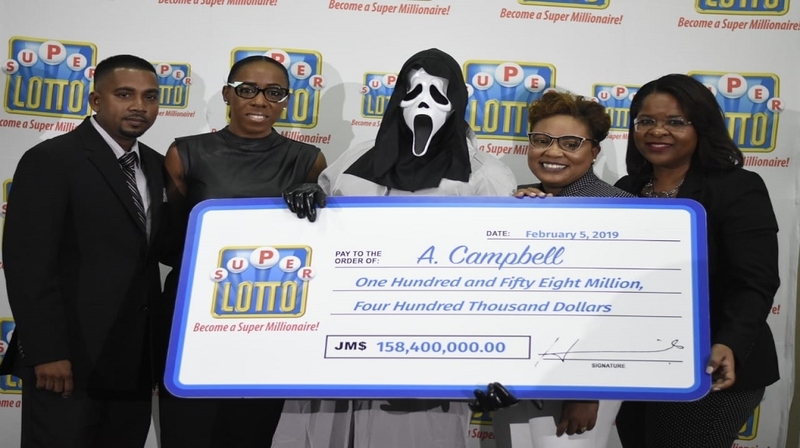 Campbell took 54 days to present his winning ticket, but not before Supreme Ventures Limited, the owners of the Super Lotto put out advertisements in the media, urging the winner to claim the prize before the 90-day deadline elapsed. 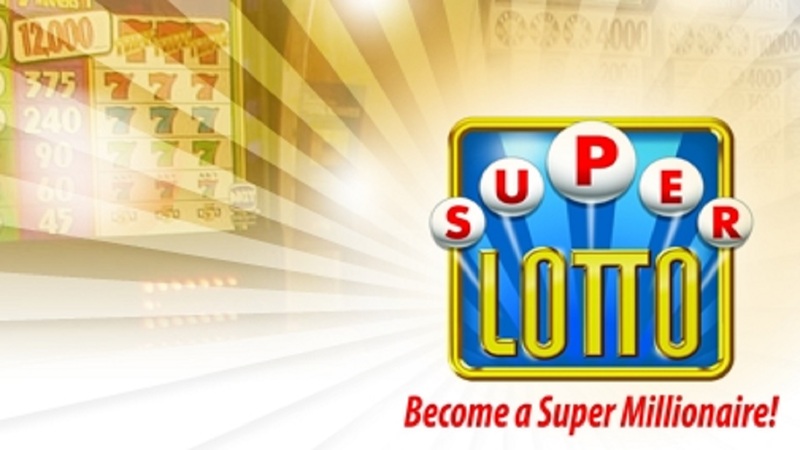 According to Campbell, he fell ill after learning he won the Super Lotto. "My head hurt me for three days because I was thinking so much. [Wondering] if what I've been longing for really come true. I had a belly ache for two weeks, sometimes I feel so much pain I forgot that I had won," he chuckled. Campbell described his life as a struggle but said this will change with the winnings, with his first goal being to acquire a home. He said, "I want to get a house, I want to get a nice house. I haven't found it yet, but I'll be looking for one soon." 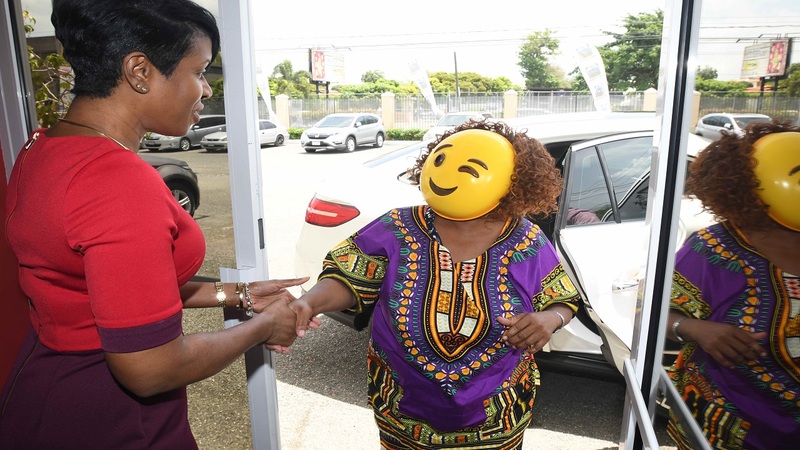 Campbell, who purchased the ticket on Omara Road in Kingston, said he found winning numbers, of 10, 14, 16, 25, 27 and the super ball 5, from a dream and purchased the ticket for $200. 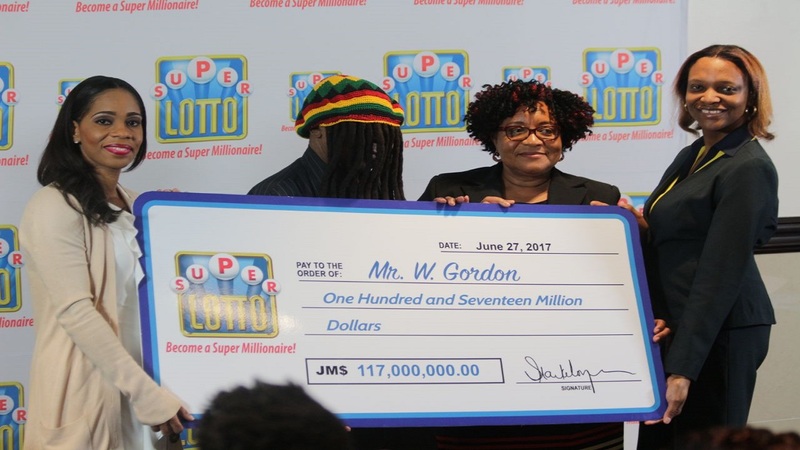 He was the 17th winner of the Super Lotto from Jamaica.